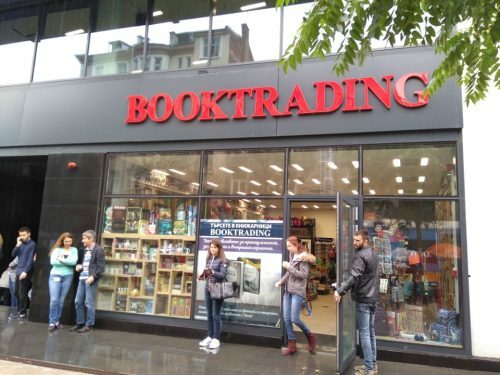 Booktrading is a bookstores chain with many years of experience in book distribution, working with a number of Bulgarian and foreign publishers. The company boasts its good name and successful business partnerships created thanks to its creative decisions and ambitious team. Booktrading bookstore opened its doors in the new TELUS TOWER building. Cozy atmosphere and the wide variety of latest titles, world bestselling and Bulgarian literature await you. There are luxurious writing instruments, a wide variety of school supplies and stationery. You will also find many ideas for interesting and unusual gifts.